Create a bag that's uniquely yours (or a truly special gift)! 1. 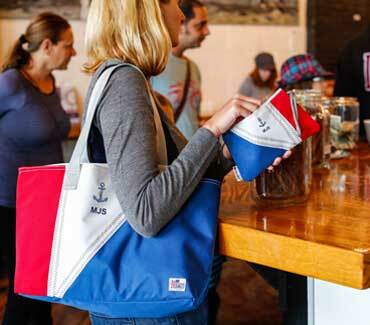 Find the product you want to buy on sailorbags.com. 2. Select the product color (if there's a choice), then click the "Personalize it" button to launch our interactive design tool. 3. Select the type of personalization you want, enter your text, and choose a typeface and color. Feel free to experiment, and have fun – you'll see what your bag will look like as you work! Once you've designed your bag, just add it to your cart ($12 embroidery charge applies to each personalized item). We'll make your one-of-a-kind bag and ship it to you (or a lucky gift recipient) quickly – most in-stock bags are embroidered and shipped within just 3 or 4 business days! 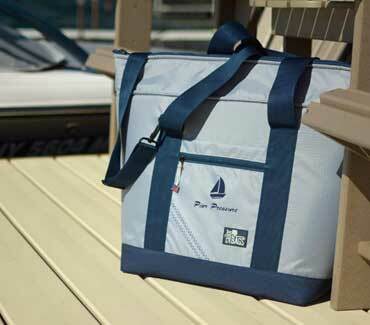 We can also do volume orders, customer-supplied artwork*, or even full custom bag design and production. Contact us for more information and personal assistance with your project. 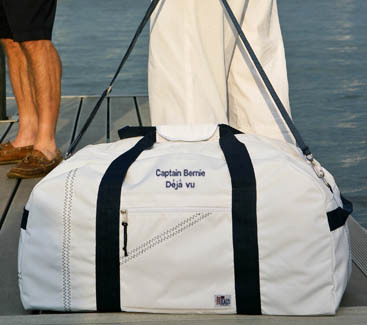 Personalized SailorBags are great for birthdays and holidays, housewarming (or boatwarming) gifts, company gifts and employee recognition, teams, weddings and events, and so much more.